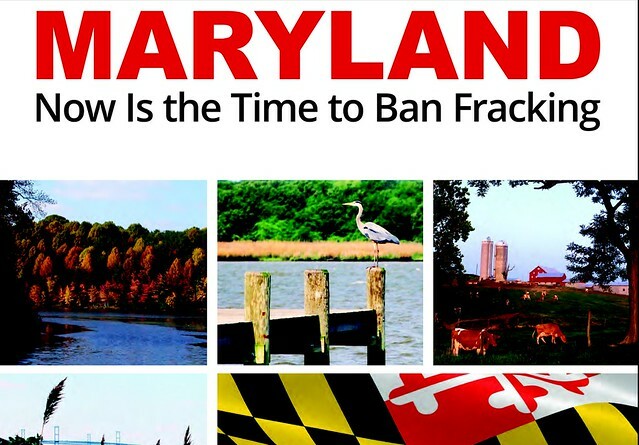 Progressive Democrats of America (PDA) is a partner in the Don't Frack Maryland coalition. Join us in supporting the Maryland Fracking Ban legislation currently under consideration in Annapolis. Also, make plans now to join us in Annapolis on March 2nd for a Ban Fracking rally. I know I can count on you to act now to protect our air, water, and families by supporting a fracking ban in Maryland. We also need you to urge your state senators to oppose any legislation that falls short of a permanent fracking ban. Please click here to urge your state legislators to vote YES on SB 740/HB 1325, and to tell your state senator to vote NO on SB 862. Donate Now to Help Ban Fracking In Maryland! Join Us March 3rd for a Ban Fracking rally. The Baltimore Sun reports that residents of Baltimore City are already suffering from this reckless methane extraction method. Please call Education, Health and Environmental Affairs Committee Chairperson Joan Carter Conway's office and let her know that you're concerned that people in her district as well as your family and others across Maryland will suffer unless she adds her highly-respected voice to support the Fracking Ban. Be respectful, and stress the threat to Baltimore City residents. Please feel free to use the points in this email to persuade her to back the ban, and protect Maryland from fracking permanently. Governor Hogan's administration has released inadequate regulations for fracking in Maryland. Under his rules, fracking could begin as early as October of this year, putting our family's health and Maryland's environment at risk. Since Maryland's fracking moratorium has been in effect, important new studies have confirmed that fracking is linked to unacceptable health risks, including asthma and premature births. We know that air pollution from fracking sites can travel hundreds of miles. It has already been detected in Baltimore. Fracking accelerates climate change by releasing dangerous amounts of methane, a potent greenhouse gas. Fracking endangers sustainable jobs from tourism and agriculture, as well as from future economic development. Our state could lose these good jobs due to the dirty, disruptive industrialization that accompanies drilling and fracking. While the oil and gas industry seeks to profit from exploiting Maryland's gas, we would be the ones left with the legacy of pollution including the costs of clean up, poisoned drinking water, air pollution and other harm. Our ally Food and Water Watch reports:" While our movement is powerful and gaining momentum, Big Oil and Gas have been pulling out all the stops to start fracking in Maryland. Industry groups have already spent big money on lobbyists, advertising and robocalls trying to sway Marylanders to support dangerous drilling. They may have money, but we have one thing they don't: the support of the people." FWW adds: "Polls show that Marylanders oppose fracking by big margins, and in recent months, hundreds of elected officials, health professionals, business owners and other groups have come out against fracking. The Baltimore Sun editorial board even wrote that fracking should be banned for good." Please click here to tell your legislators to vote YES on SB 740/HB 1325, and your senator to vote NO on SB 862. Also, plan to join us in Annapolis on March 2nd for a Ban Fracking rally. P.S. To help launch a PDA Maryland chapter near you, please contact PDA Field Coordinator Dan O'Neal.